When Should I Replace My Timing Chain? Timing chains may sometimes need replacing, just like timing belts. Unlike timing belts they usually will only need replacing if there is a problem. Normally the timing chain will be designed to last a car’s lifetime, and will not need to be replaced at a recommended service interval. In some cases, despite not needing regular maintenance, a timing chain can wear to the point that it has to be replaced. Often this will be due to wear caused by other parts that are connected to the chain. Design faults, on the other hand, may also be a reason to replace it. How Do I Know Whether The Timing Chain Needs Replacing? 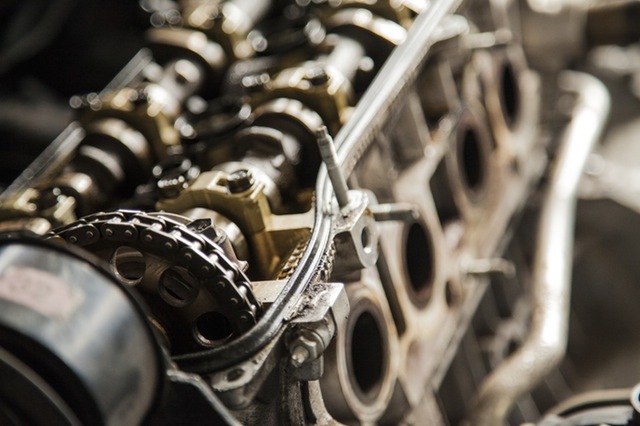 Timing chain wear is often caused insufficient lubrication of the part. As with the other moving parts in the engine the chain is lubricated by the engine oil. It ensures the part runs smoothly along all the other parts. A lack of fresh oil can have an adverse effect on the condition of the chain. It will mean that it will wear quicker, and ultimately will need to be replaced. In more extreme cases the timing chain can snap. Whilst this is not a common problem, design issues or other faulty engine parts can lead to this. The only option then is to replace the chain. On some engines it may actually mean further internal engine repairs are required. As noted most manufacturers design the timing chain to last the car’s lifetime. Only some car manufacturer say that timing chains need replacing after a while. Your car manufacturer will tell when this should happen in your service manual. Other than that, though, timing chains only need replacing if there is a problem with them. 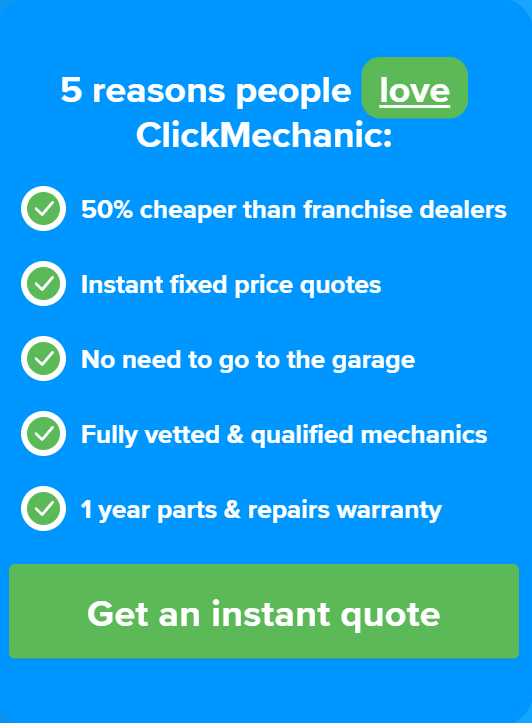 At ClickMechanic, we normally advise to replace the whole timing chain kit if there is a problem. By replacing the bits around it at the same time, like tensioners and guides, wear caused by these parts to a new chain can be reduced. Further expensive repairs can then be avoided. Remember, wear to the chain over time is inevitable. But the good new is that you can reduce the likelihood of your engine needing expensive repair by sticking to the service schedule. For example, by changing the oil and oil filter regularly.